Funeral services for Betty J. Tolzman, age 77, of Albert Lea, will be held at 11:00 a.m. on Saturday, September 8, 2018 at Bayview/Freeborn Funeral Home. Pastor Don Malinsky will officiate. Interment will be at Kiester Cemetery at a later date. Visitation will be one hour prior to the service at the funeral home on Saturday. Online condolences are welcome at www.bayviewfuneral.com. Betty died Sunday, September 2, 2018 at Mayo Clinic Hospital - St. Mary’s Campus in Rochester. Betty Jean Tolzman was born on April 17, 1941 in Moscow Township, the daughter of Clarence and Iris (Turbett) Satre. She attended Albert Lea Schools and was confirmed in the Methodist faith. On April 12, 1958, Betty was united in marriage to Marlin Tolzman. They moved to Arizona in 1963. Betty worked as the office manager for several car dealerships. She returned to Albert Lea in 2012 to be near family. 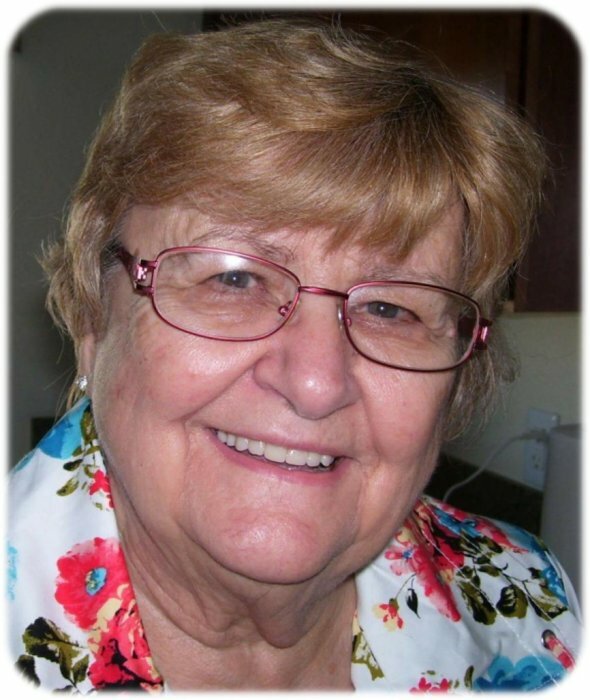 Betty enjoyed reading, crocheting, learning Spanish, having coffee with friends, and going to the casino. She also loved animals and riding horses. Betty spent time as a Boy Scout Troop Leader and was an avid Twins fan. Betty’s final act was giv0ing the gift of life through organ and tissue donation. Betty is survived by her children, Julie Tolzman, Shelley (Bill) Yancey, and Neil (Michelle) Tolzman; grandchildren, Susan Graham, Christopher Graham, Julianna Flores, and Alexander Flores; siblings, Bill (Ann) Satre, Susan (Jim) Larson, Steven (Ronda) Satre, and Scott (Vicky) Satre; many nieces, nephews, and cousins; special friend, Abel Rodriguez, Sr. and his son, Abel, Jr. (Angie), and grandchildren, Zane and Max. Betty was preceded in death by her parents; husband, Marlin; and nephew, Jeremy Satre.